The NBA is back in action today as the Golden State Warriors will clash with the New Orleans Pelicans. The Warriors are heading into this encounter after a 131-104 home win over the Clippers. While on the other side, New Orleans defeated Sacramento 133-129 on the road. The Warriors are playing another great season so far. Moreover, they have now 5 wins in a row as they dismantled the Clippers in their last game. And now, the Warriors are on the prime position in the Western Conference. Also, they are one of the favourites to win the championship this season. Kevin Durant and Stephen Curry are having a great season as well and they will be a dominant force in the postseason. On the offensive side of the game, the Warriors score an average of 117.8 points per game. Therefore, this record is enough for the 2nd spot in the league in scoring. Also, they have an average of 46.1 boards per game combined with 29.5 dimes per night. On the defensive side of the game, the Warriors concede an average of 111.1 points per game. Therefore, this record is enough for the 16th spot in the league in scoring defence. The Pelicans are out of the playoff contention this season. However, it seems that they are still motivated to play as they got a dominant win against the Kings in their last game. The Pelicans are placed on the 12th spot in the Western Conference and that is a realistic position based on their performance this season. Yet, they have good offensive firepower as they are one of the most efficient teams this season in scoring. 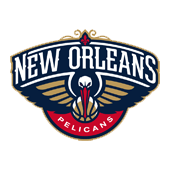 On the offensive side of the game, the Pelicans score an average of 115.6 points per game. Therefore, this record is enough for the 3rd spot in the league in scoring. Also, they have an average of 47.4 boards per game combined with 27 dimes per night. On the defensive side of the game, the Pelicans concede an average of 116.8 points per game. Therefore, this record is enough for the 28th spot in the league in scoring defence. The Pelicans are out of the playoff contention. However, they are a team that scores a lot of points as the stats show that. On the other side, the Warriors are one of the best teams in the league this season. They also score a lot of points. Still, I expect another win for the Warriors. Also, there will be lots of points in this game as the 2nd and 3rd best scoring teams in the league are playing. 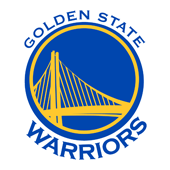 My Free Pick & Prediction for Golden State Warriors vs. New Orleans Pelicans on 04/06/2019 is: take the Golden State Warriors -225 (Moneyline).